The official news network for citizens of New Glasgow - formerly the Victoria Factory District - across the Red Planet. Citizens! We stand here in New Albion, the command centre of a colony founded only to exert maximum control on the destiny of the people of the British Isles, to stand as a veritable work camp for those London did not approve of. How many thousands of us have been evicted from not only our homes, but our home planet, all to please the whims of dictators? To supply an Anglocentric elite who pursued a narrow racio-cultural agenda. To fund an Anglocentric elite hateful of all others. To prop up a failing state - no more! Citizens, we stand atop the butchered corpse of British tyranny on Mars - No More! The line drops once more, but the other news networks already begin disseminating the news - and studying the speech. CITIZENS of New Glasgow, the liberation authorities of our revolution bring the following release for public consumption and enlightenment in the territory and beyond. Independence of oppression is hereby declared. The shackles of the previous regime shall be destroyed. Freedom for all the citizens of New Glasgow, now formally renamed from the imperial hangover that was the London name, has been bought in blood, and can only be lost in death. Friendship is sought with all the entities of all planets in the solar system, and a mature relationship with all neighbours and trade partners. Security of labour rights, tenure and freedom is given to all citizens. Vigilance of London's efforts to yoke the Movement once more is necessary, lest our guard be let down. We are now a state united in commitment to preservation of our lives and freedom. Victory is not an event, but a process. We have taken the first steps to ensuring our families live a better life on this Red Planet than we did beneath an incompetent administration. New Glasgow shall flourish. ...you join us now in the studio after what can only be described, well, as a frankly momentous event in the history of The Vict-er, New Glasgow. We've been bringing you live from Freedom Square the unveiling of the new policies and, perhaps most importantly, the leaders of a movement so long cloaked in shadow and hidden by secrecy. I'm joined now in the Network's exclusive balcony watching proceedings down below by long-time political commentators of the colony, Harrold Milne of the historically Albionist Curran Media, and Jameson Dowall of the more Celticist New Dawn Network. "For there is a clear and overriding moral to our struggle and now our liberation - justice. No man, not I nor you, could stand idly by while we worked to survive together yet a minority elite chose to work to oppress the very people on whom they depended, and who had abandoned the true vision of revolution born in Albion in days gone by - of a just, harmonious society of citizens united in their collective advancement and defence. Never again shall we let ourselves be dictated to by the whims of tyrants. We have raised our weapons, and lower them only in death! Let this be our rallying cry - for all who see the ideal of a free Caledonian republic ruled by her citizens and her citizens alone - they are welcome here!" "That to me is a very interesting message - we heard much in the last few hours, between bursts of gunfire and applause, of music and chanting, much of the ideals of our new republic which is nothing if not infectious, and I'm sure we'll have much to say on that shortly - yet that powerful image of a republic born in blood opening her arms to our compatriots the previous regime thought undesirable, it is a wonderful thing. I expect we'll see more of it, though it does raise the issue of who exactly one attracts, but it might fit in better with the intellectual revival we've heard of." Mr Dowall, would you agree? Certainly the speech was full of imagery, much of it powerful... but should we read policy into it? "Yes I think we should frankly for three reasons. One, this is not a man who speaks lightly, I had the fortune in an intermission to speak with men in the previous administration who've told me that it is very rare for Logan-Keith to express a view, but that when he has done so - as he did, for instance, on forbidding the eugenics experiment on New Marathon prisoners, a policy now much more understandable given his secret membership of such a group - he has pushed for it incessantly. Secondly, this builds upon that intellectual revival, inviting men and women and their families who hate the claustrophobic nature of British politics and society, who long for a freer, more open republic, this builds upon that desire. And thirdly - perhaps as importantly - Logan-Keith is a pragmatist. If we are to build what Harrold might call a New Jerusalem but what I might call a Tìr a' Gheallaidh, then inviting in men who understand our ideals and are willing to fight for this Young Caledonia with their associated expertise is necessary." "We shall not hesitate to bleed for our people and a free citizenry. Saorsa may be our watchword but Saoranaich, too; those who are free, quite literally - citizens. We proclaim to our neighbours our sovereignty and a steady hand of security; yet we shall not hesitate to ensure that in building our future on the Red Planet, we have learnt the lessons of the Blue, and shall never shy from a ready policy of defence. A nation in arms, a colony in assembly, a citizenry in unity." I'm afraid we've little time left before our broadcast ends due to the energy rationing in this particular compound, but Harrold a quick word? "Definitely a statement of intent for MacKay's guardianship - I'm sure we'll hear more of what he spoke of earlier, his personal respect for élan and honour, but this is the crux of a defensive polity for the Republic. No more isolationist idiocy, no more obsessive paranoia over every EU, NAU, Russian or Chinese gunship that lands anywhere on the planet; instead a watchful defence and an open mind to securing prosperity for our citizens through cooperation and self-advancement." "For once I find myself in agreement however, one small point I think that extract exemplifies - that desire to explain the concept of Saorsa, of Saoranachd. These are two words we've heard much of in banned literature, but in MacKay I think there is as much the cultural foundation as the structural foundation he wants to work for this new society." That's it for the Daily Politics, our new flagship political programme replacing Voice of Britannia, we'll be back tonight on radio frequencies and tomorrow in this studio when the Guardians are sworn in, when we'll have an exclusive interview with Redwallace himself. We apologise for the shorter full-screen programme lengths, but now to your favourite classical music show, on the Red Lion's Red Rock Radio. This is NGC News. Eleven days after the beginning of the revolution and the fall of the tyrannical penal regime, power has now been restored to approximately 99% of habital locales within New Glasgow. 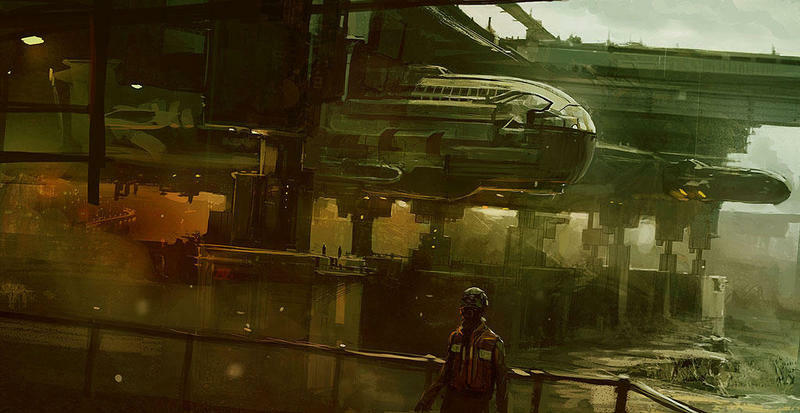 While several domes require repairs and hydropod assessments are still underway, Guardian Constantine has spoken to the colony setting out a timetable for repairs as soon as possible. All artillery units are now fully operational. Three youths from the New Marathon sector have been detained on suspicion of being behind the looting of deceased revolutionary properties. All three deny the charges, but the authorities have requested any with information to dial 1-0-1 on the New Glasgow Intranet. Thousands have been expelled and dozens are thought to have been killed in the Black March as the routed London forces flee into Clearwater City. A petition at the assembly to send a detachment of Saoranaich Armaichte into the city was dismissed at the nominative stage; but Guardian Redwallace has stated that any coup of the city by the British forces would represent "...both a grave threat to New Glasgow, and a sign to the Solar System as a whole of the sheer barbaric depravity of the former tyrants of our Republic." Russia is reportedly considering the expansion of water treatment facilities, in cooperation with Clearwater City. A spokesman for the Provisional Hydro Authority said New Glasgow had received no further information on the plans, but that they welcomed anything that might hasten or ease the terraforming of the region, provided it was not detrimental to colonists. In the sport Camanachd Mharathon beat Camanachd Albion 3-2, and tonight's race begins at 1900 with six aircraft entries at this point. This is NGC News. Repairs and reconstruction continue in New Glasgow, as the citizens of the Republic complete the main domes and power systems which had been knocked out by British sabotage in their flight. The Council for Hydroponics has assured the Assembly that agricultural issues, while still remaining, are also on course to be remedied, though some in the Assembly had tabled a motion for the council to resign in the wake of delays in water purification repairs. The state funerals of those citizens who gave their lives when a PLA assault force attacked a Feachd nan Saoranach patrol securing a downed BAE mallet took place earlier today. Guardian Redwallace, who was behind the operation, spoke of a need to ensure that never again would New Glasgow forces caught by surprise by an outside force, and of a need to increase surveillance networks through UAV and drone launches. Some commentators have anticipated an increase in PLA military activity, particularly with tensions between the EU and China becoming notable also. A motion has been tabled by Guardian Constantine on increasing cross-cultural participation in Citizen Unions across the Republic. While it is expected to pass easily through the assembly itself, opponents of the move state that the inherently Caledonian nature of the Movement meant this should be reflected in the new constitutional settlement; however intellectual proponents of the motion have urged citizens not to replace one broken system of governmental representation with another, if slightly less extreme, model. Clashes continue in Unity City as nationalist and socialist forces battle it out. With no end in sight to the animosity between the two sides, and rumours of arms pouring into the city from many key players on the Red Planet, citizens are recommended to avoid the city if at all possible if on commercial or extracolonial business. In the business news itself, shares in shuttle companies continue to climb as thousands make their way to the Red Planet and to our own liberated colony. Prefabricated homes are already being prepared for those who have preregistered, and several valleys and glens west of the New Marathon sector have been earmarked for further development. The Assembly has also motioned for a report from the Industries Council to be hastened, as refurbished factories come online and the need for a clear policy on the matter is required. In the sport its derby day for Marathon Rovers and New Falkirk United; while across the water Camanachd Eòrpa and the Redshirt Camanachd Club are playing an exhibition match. The weather today will be mostly dry but a likelyhood of clouds on the horizon coming in from the north. Dust storms are possible over the weekend due to the outgoing pressure systems, but all in all quite good for this season. That's the news and weather bulletin, now back to the studio. Tapa leibh, Caytlyn there with our hourly bulletin. Welcome to our morning call-in programme, the show where you get to ask the questions you want the assembly to hear. Today we talk defence - I'm joined by four fellow citizens, each from a different side of the Assembly. Ruth Jones of the Celticists, Brian MacAe of the Caledonists, Andrew Nairn of the Albionists and Calum MacAoidh of the Insular faction. Welcome all of you, to the Voice of New Glasgow. National service or standing army? Mobilisation plans or a nation-in-arms? In a moment, our first call... but what'd be more relevant as we discuss the security arrangements of New Glasgow, than a little light classical music with a distinctly Red theme. Welcome to the The Weekly Review with your host, Lamont Malcolms. Now with Chinks losing their heads and Ruskies busy flying planes at Maroons, you might be forgiven for forgetting things happen in New Glasgow too. We're in a democracy now... whatever that might mean. But it does mean we get to bring you the news from the Assembly, as well as from when we're forced to kill a bunch of silly Chinamen. I'm now being told by my producer to shut up, so, here's our first clip - on Monday, the Cùran presented an economic national liberisation plan. Or, in slightly more human language, defrosting the economic freezer after the revolution. Glasnost or genius? Intrepid reporter Bill Mcloud has tried to find out. The London government can't do much very efficiently, but sending their most productive citizens up to the Red Planet had one unforeseen consequence. They built the most efficient factory systems on Mars. And under the Assembly's plans, these will be back on online by the next month. But companies and conglomerates from across Mars - bar our rather less friendly neighbours in the solar system - are being invited to take part in a trade and industrial fair. The idea? Come see our assembly lines for yourselves, and the advantages of doing business here. With so many thousands of new pioneers and colonists expected, and a government eager to get the rebuilding programme completed and new settlements built, a fair where companies get to present their goods for import shall be held as well. A slight snag for the Assembly though - how to balance foreign trade with citizen's economic rights? The answer - aside from the cycle where citizens have benefited from nationalisation of London assets and British companies, and the chance to get set up - is what's being termed by the authorities the New Glasgow Citizen Protection Scale. A negligible tax regime for a citizen's start up, and laws preventing monopolies on any industry - will they work? Time will tell. Bill Mcloud there. Now defending your citizens wallets is all well and good. But what about defending their lives? National service is due to be phased in New Glasgow, as Reg Adams reports. An image we're all familiar with - the soldiers of the New Glasgow Movement wearing liberated combat armours, going house to house, routing the Londonite fascists. But how to defend the republic? A question plaguing the Assembly. From a standing force of citizens, to a rotational milita, to a full citizenry in arms, there's no shortage of potential solutions. Yet with so many new colonists arriving, the idea of how to integrate them quickly and efficiently has been met with a strange solution. Rotational national service - voluntary for those already citizens, mandatory within 24 months for those seeking it. As the ancient Greek city states of old, so the young Caledon of today. Or so the government would have it. Trials of the new policy are set to begin shortly; and its anticipated that having both Feachdan Stèidhte and Feachdan Trèanaidh will help with national integration and reconciliation, and the more crucial aspect of stopping us ever slipping into shackles again. I'd ask if Reg got the chance to try out one of those combat suits, but I've a feeling he's more of a logistical kind of guy. So to our last piece of the programme - citizen equality. Amid complaints that non-Scottish elements of the Republic have been discriminated against, the Assembly approved a motion to help accomodate the minorities of the colony - and to ensure that civic nationalism, the New Glasgow Movement's raison d'etre, is not superseded by more base levels. With a special report, here's Gràinne NicLaomainn. A shuttleyard worker takes a break from work on the recovered shuttle. Each factory, every unit and every settlement in New Glasgow has a Citizen's Union to which citizens can raise their concerns. In principle, there's no block on any citizen from joining - but is that true? According to the Assembly, certain branches have failed to ensure no minority groups - English, Catholic, Hindu or Muslim - feels excluded. Citizens are now being asked to include their neighbours - all of them - in decision making at a community level. But the Assembly also agreed on a key condition - if any would rather not stay, there is no limit to that. Emigration of those unhappy with New Glasgow, as well as immigration of those seeking to join the Republic, cannot be banned. The hope among all New Glaswegians will be that none forget that we all fought for our freedom and liberation; whether sent here from England, Wales, Ireland, or indeed Scotland. That concludes The Weekly Review - make sure to tune in on Monday night for The Daily Politics at 1900; and we'll be back a week tonight with a look back at the biggest events of the week in politics. I'm Lamont Malcolms, goodnight. This is NGC News. The Republic today raised the security level from C-4 to C-3 in light of recent developments across the planet, and heightened tensions following yet more Chinese attacks and the reinforcement of the Blackshirt colony to the north, at the moment a Russian vassal. Speaking in the Assembly the commander of the forces repelled from the Sruth stated that he accepted the Assembly's recommendation of a temporary demotion and accepted full responsibility for the withdrawal. A motion questioning the wisdom of further provocation in the south did not make it to the assembly despite initial support across the assembly. Sectarian fighting will not be tolerated in New Glasgow. That's the message from the Cùraich following clashes between Protestant and Catholic Christians last night which shocked the republic. Speaking to the media following the incident, Cùra Constantine made the remark that those who imported or manufactured conflict in the Republic would not long find themselves here - whatever their denomination. The latest solar plant in Creag Ruairidh has gone online in what authorities have termed a pleasant and early surprise. Construction was thought to follow on into the next cycle, but thanks to the stellar efforts of citizens production in certain blocks has reached 143% of initial estimates. However an assembly review of the planting and hydro schemes is underway that future efforts to improve the colony are not so sluggish. Major concerns have been raised across the planet and indeed beyond at the prospect of a larger-than-ever Duster cloud. Satellite images show a huge dustcloud, normally associated with the strange semi-human assaults, moving towards the Outlier settlements. The Republic has pledged non-military assistance, stating that Chinese interference makes active involvement impossible at the moment, but that defences will be redoubled over the period in case of emergencies closer to home. Civil war in Unity continues to become more and more barbarous, with the arrival of leftist volunteers complementing the right-wing and fundamentalist volunteers seen previously, and resulting in bloodshed that has left large sections of the city in disarray. Earth media has thus far ignored the war to some extent, and the Republic has urged the major powers to bring both sides to the negotiating table if order is to be maintained on Mars. Plans have been announced for a National Mòd in New Glasgow. The festival, banned in Old Caledon, would see competitors from across the solar system able to compete in Gaelic events. Some have questioned the wisdom of spending any limited resources on an event such as this. No pan-republic sport today due to the holiday break, but we're not so sure there would be any outdoor sport anyway in this weather. You're listening to The Red Lion Radio, and now it's time for Ceòl Country, your bilingual blast of rather unusual country music.